Neighbourhood News Desk/ Anita Yadav: After M.S Dhoni and Sachin Tendulkar, Virat Kohli has now been honoured with Rajiv Gandhi Khel Ratna Award. 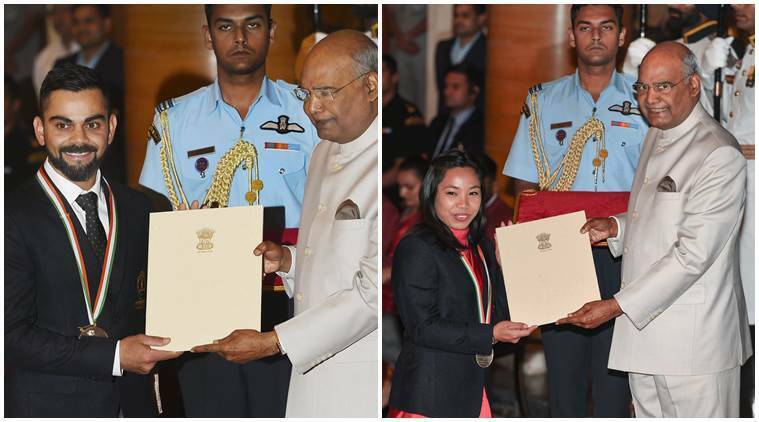 Along with him, Mirabai Chanu has also bestowed with Khel Ratna at Rashtrapati Bhawan. Hima Das, Neeraj Chopra and 20 other sportspersons received Arjuna Award from president Ram Nath Kovind. The Dhyan Chand Award for lifetime sporting achievement given to four former athletes.